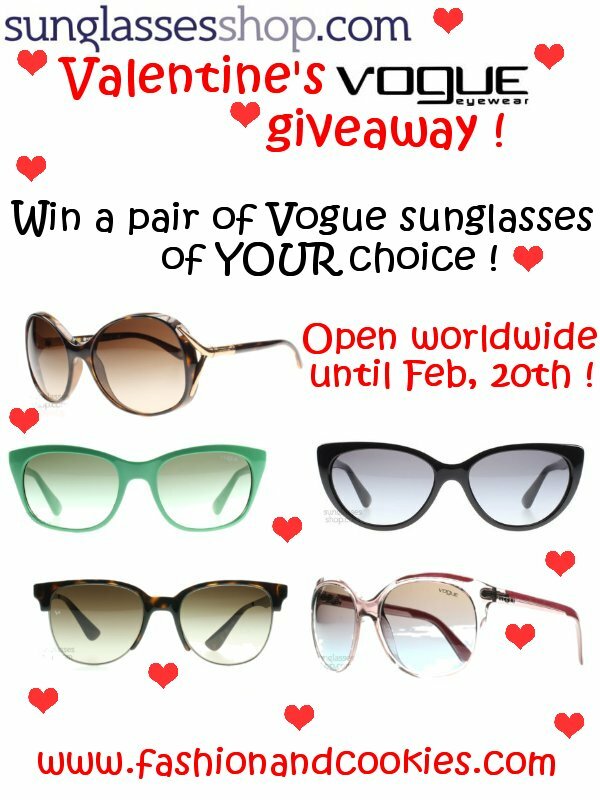 Here on Fashion and Cookies we are ready to celebrate Valentine's day with a new giveaway, partnering again with the coolest sunglasses webshop of all, Sunglassesshop.com !. This amazing shop is indeed offering the chance to a follower of this blog to win a pair of Vogue sunglasses of choice, which is perfect with Spring being around the corner !. You can make yourself a Valentine's gift with this giveaway ;), it is open WORLDWIDE and it starts today until February, 20th. To enter this amazing Valentine's Vogue giveaway you have to follow the simple rules you find below and fill the Rafflecopter form, as ever !. Two winner will be selected randomly with Rafflecopter and announced on the blog, Twitter and FB. The winner will comment on the blog or FB page and let me know the sunglasses of choice among all the Vogue ones and the name and details will be given to SunglassesShop so they can contact you to send out your sunnies. Good luck everyone :). 5) Leave a comment on SunglassesShop Facebook wall saying "Entering Fashion and Cookies Vogue competition on www.fashionandcookies.com"
Ciao Vale, sono Eva di Fancy Windows, ma adesso dal mio nuovo blog di moda ;indirizzo In her black shoes,inherblackshoes.blogspot.com, ti seguo da Tweeter e Bloglovin!!! Done and done! Would love to win!! sono davvero fantastici...grazie per l'opportunità!!! Lovely sunglasses! And I love your coat too! Powiedz mi co jest Twoja tajemnica, ze masz tak slicznego bloga i tak duzo znajomych i wyswietlen ;)?? 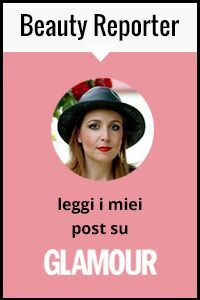 sono davvero belli speriamo bene! Summer is about to break here in our country. I hope to win! Thanks for the love on my blog - I just entered into the give away - I really need a new pair of sunglasses. I hope I win! Hi dear.. wanted to know, when would they mail me the details?